I just love this. 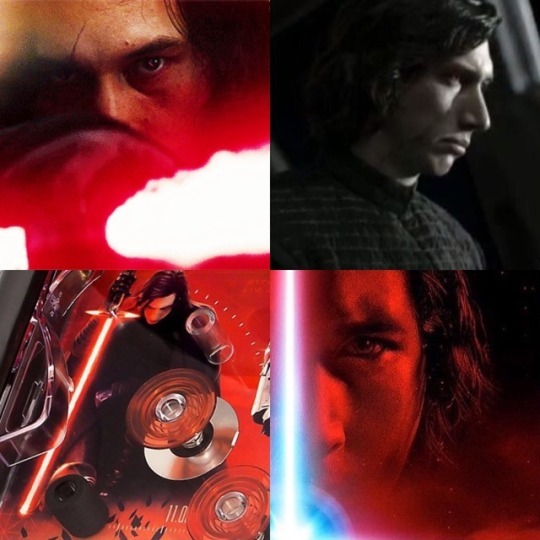 It's so much more than I'd dared to hope for Kylo in the promo for The Last Jedi. Rian is in love with Kylo. 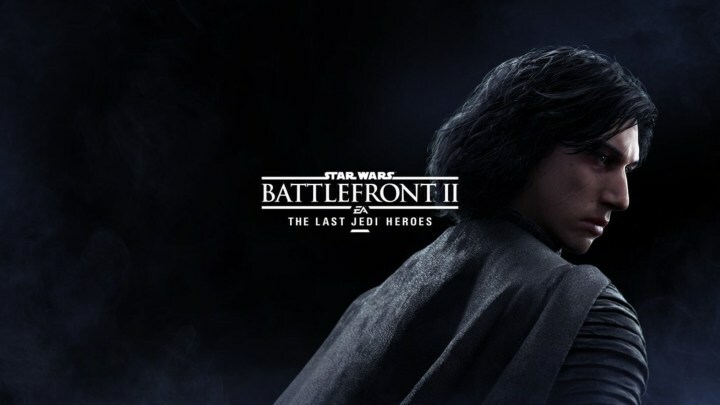 TLJ is just his self insert/Kylo fanfic on the big screen. Really though, what a handsome man. Honestly, he looks hot as hell in this shot. I don't even know the context of the scene and I have the impression that he's going to jump my bones. The first thing I notice about him when he unmasks are those mesmerising eyes. Every time I see Adam now it's his eyes I fixate on. He looks unwell, to me.His eyes have those circles around them, as if he hasn't slept or perhaps he's still recovering from his wounds. He still looked hot to me even with the original look! @motherofpearl1 wrote: It's the eyes. Back when I saw Adam in Girls, I thought he was part Asian, like Keanu Reeves. I will never not think it's funny how groomed he is (even the eyebrows) within an inch of his life considering that he's Leia's kid. I just re-watched the OT on TV and every single movie, no matter what situation they're in, she's wearing full makeup and her hair is perfectly in place without looking frizzy or in need of a haircut. First movie she's got some serious 1970s pink blusher going on and the subsequent movies, heavy eyeliner and mascara. Carrie Fisher used to joke about Leia needing to ditch her responsibilities and go find a spa planet, so maybe Rey and Ben can do that at the end of the ST. You know that she's going to snark on his hair at some point and he'll offer to show her the way of deep conditioning when you've spent most of your life in a junkyard. @snufkin wrote: I will never not think it's funny how groomed he is (even the eyebrows) within an inch of his life considering that he's Leia's kid. I just re-watched the OT on TV and every single movie, no matter what situation they're in, she's wearing full makeup and her hair is perfectly in place without looking frizzy or in need of a haircut. First movie she's got some serious 1970s pink blusher going on and the subsequent movies, heavy eyeliner and mascara. Carrie Fisher used to joke about Leia needing to ditch her responsibilities and go find a spa planet, so maybe Rey and Ben can do that at the end of the ST. You know that she's going to snark on his hair at some point and he'll offer to show her the way of deep conditioning when you've spent most of your life in a junkyard. I like his clean shaven, long hair look, and yes, I think it's obvious they want him to be pretty. I do not like it when they put lipstick on guys though. And anything more than a subtle color on women is too much to me. I think it's funny how Adam's hair doesn't move at all in the interrogation scene. Like it is SET. I prefer his sweaty look in the snow when it's blowing around. Looks like he has bangs. Leia's retro makeup doesn't bother me except for her eyeliner in ROTJ. They couldn't sharpen the pencil a bit more? Lol. I really like Rey's no-make-up makeup. I read somewhere that Daisy got a spray tan everyday. @Cowgirlsamurai - it's funny how the hair at that moment, I knew exactly what had been done to it because I've had stylists want to tease/enhance my hair the same way after a cut. You don't put that much effort into it (or the eyebrows) just to reveal the bad guy. Even traditionally, if a bad guy is especially primped/groomed, it's usually queer coding to hint at him being less than masculine/hetero. Which personally I don't think is what the intention was here. I actually thought he had Native American blood, there's a distinct exotic shape to his eyes. I have to laugh at the novel's description of him as 'unremarkable'. Love or hate Adam's looks, they're anything but 'unremarkable'. @snufkin wrote: @Cowgirlsamurai - it's funny how the hair at that moment, I knew exactly what had been done to it because I've had stylists want to tease/enhance my hair the same way after a cut. You don't put that much effort into it (or the eyebrows) just to reveal the bad guy. Even traditionally, if a bad guy is especially primped/groomed, it's usually queer coding to hint at him being less than masculine/hetero. Which personally I don't think is what the intention was here. I think they presented him as impeccably groomed to show he was 'in control', both of himself and the situation. Then later, when he confronts Rey and Finn, his unkempt appearance shows him completely losing it. 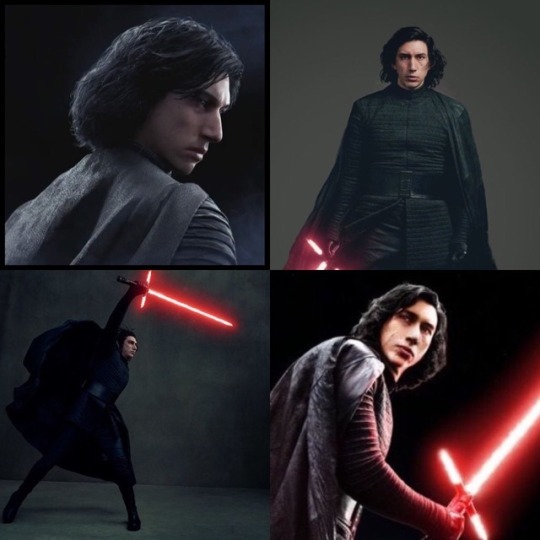 I wonder how he'll look in TLJ? @motherofpearl1 - for sure, he knows that he shouldn't reveal himself to her and you can even see from the body language when he takes it off that he's irked she goaded him into doing it. But it's also very much, "aren't you impressed with me?" Which clearly she isn't. When I first read the "unremarkable" description, I interpreted it to mean "Average, not particularly handsome, etc," but I think the writer just meant that Rey was surprised to see a normal guy under the mask. (Especially since the audience was probably expecting someone disfigured or threatening in appearance to be revealed.) I don't think it's likely she found Kylo to be handsome in this moment because he was her captor and about to inflict pain, but the book does mention sensitivity in his face and voice, so I think his expressions are more important. If he sees me on here he asks: "how's Keanu's hair? Is it ok?" WhatGirl wrote: Once upon a time, in a faraway land, a young prince lived in a shining castle. Although he had everything his heart desired, the prince was spoiled, selfish and unkind. But then, one winter's night, an old beggar woman came to the castle, and offered him a single rose in return for shelter from the bitter cold. Repulsed by her haggard appearance, the prince sneered at the gift and turned the old woman away. But she warned him not to be deceived by appearances, for beauty is found within. And when he dismissed her again, the old woman's ugliness melted away, to reveal a beautiful enchantress. The prince tried to apologize, but it was too late, for she had seen that there was no love in his heart. And as punishment, she transformed him into a hideous beast, and placed a powerful spell on the castle and all who lived there. Ashamed of his monstrous form, the beast concealed himself inside his castle with a magic mirror as his only window to the outside world. The rose she had offered was truly an enchanted rose, which would bloom until his 21st year. ...for who could ever learn to love a beast? Localisation : In Kylo's ashtray. Oh God,that first one. Kylo, why must you be so extra by doing that little ballet twirl when your facial expression is that you're getting really pissed off and frustrated with Rey. I've never noticed his face before in that moment, but it's so ridiculous. Well, now I don't have to see TLJ... thanks a lot for spoiling the movie, @xylo ren! 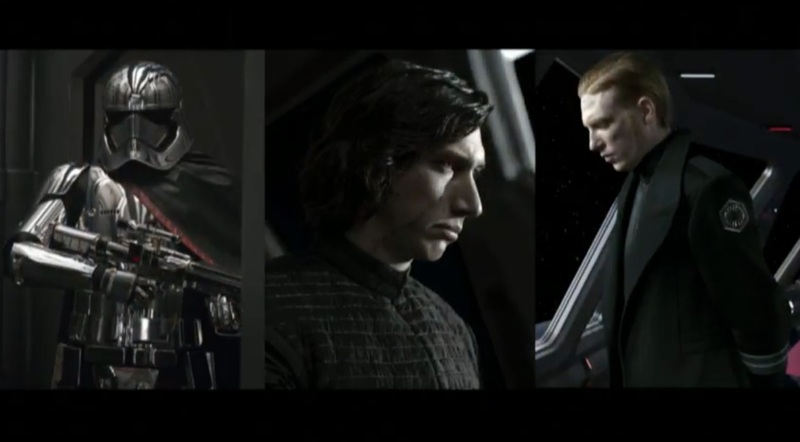 Compilation of all TLJ Kylo we have seen so far. 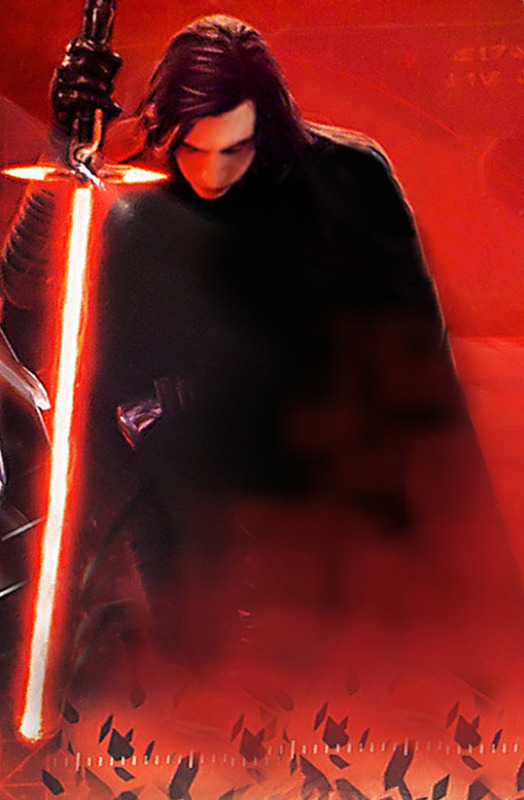 P.S...are we going to make a new thread for TLJ Kylo images, or just keep them all in here? I can't help but think Rian made one mistake when he 'moved' the scar. If anyone had a sabre slash across the eye it would seriously damage that eye.